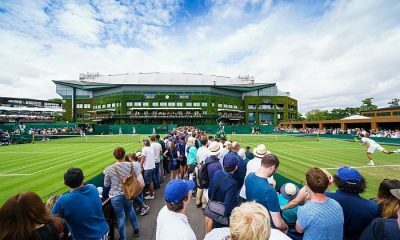 Tennis fans and players are in for an extremely hot fortnight at the All England Lawn & Tennis Club. Temperatures this week alone have reached as high as 32 degrees celsius and the weather forecast calls for more of the same in the coming days at Wimbledon. Sunscreen, hats and plenty of water will be in store for everyone in attendance. The sun is welcomed news for many but not the news the Wimbledon grounds crew was hoping for. Hot weather and bright sunshine are not what the doctor ordered when it comes to maintaining the precious grass on all 19 playing courts during the year’s third Grand Slam. Canadian born Grant Cantin, the head groundsman at the All England Club, has the task of doing everything possible to keep the grass, known as ryegrass, in the best possible condition and he admits it will be a challenge this year. Ryegrass peaks in growth during the cool season but because of it’s shallow roots historically it doesn’t like the heat and drought. 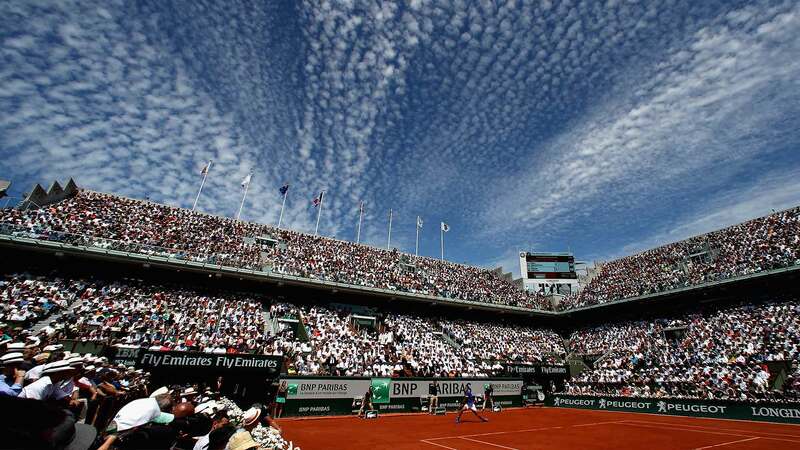 One advantage at least is having a roof over Centre Court. The grounds crew can use the roof as a sun shade while no one is playing. It helps keep the grass out of the direct sun. The firmness and moisture levels are still the same as the other courts but the sun protection helps from stressing the grass out. Creating the perfect courts is a 12 month process. Cantin and his team begin the task of striping each court shortly after the tournament ends. 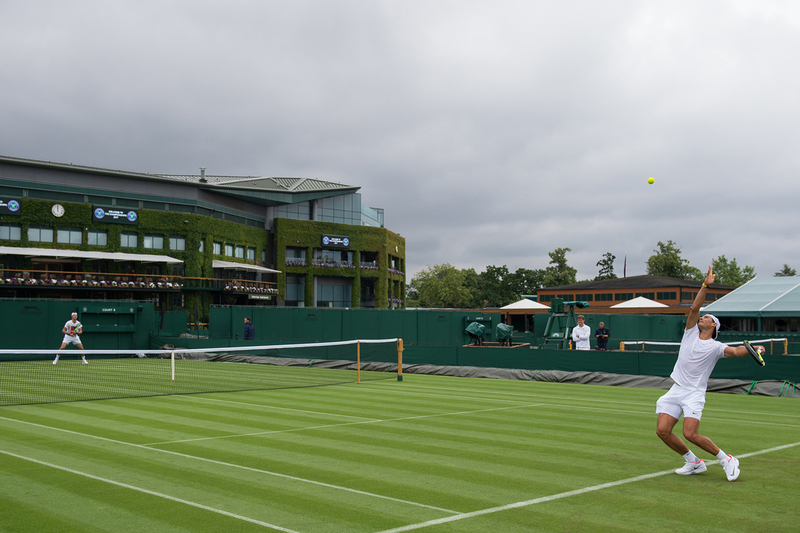 Most of the players appreciate the hard work that goes into making the courts the best grass surfaces in the world. Roger Federer and coach Sven Groeneveld have always been complimentary according to Cantin. Andy Murray among others have also had good things to say over the years. Mladenovic may not have realized but grass is a natural surface. Usually the baselines start showing signs of wear and tear on or about the fourth day of the tournament. There is nothing that can be done about that. Ashleigh Barty beat Maria Sharapova in an exciting three-set match to progress to her first Grand Slam quarter-final. Ashleigh Barty overcame Maria Sharapova 4-6 6-1 6-4 in a gripping match to advance to the first Grand Slam quarter-final of her career at the Australian Open. 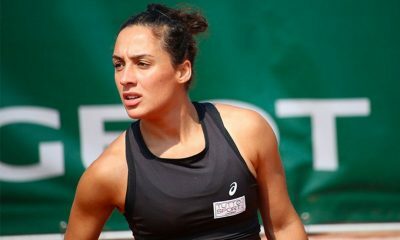 The Australian, 22, has risen steadily up the rankings since she returned to tennis in 2016 following a spell away playing cricket for the Brisbane Heat. And today she sent the home crowd on the Rod Laver Arena into raptures by beating one of the most famous players in the sport with a performance full of character. In the first three games of the match, both players held serve easily. However, the games got tighter and tighter as the set wore on, and eventually Sharapova earned the first break point in the seventh game. Barty saved it, and soon had a couple of chances to break the Russian. She was ultimately unable to take them, but it was clear by now that serving was no longer the dominant force in the match. This was especially true in game nine, as Sharapova was fired up by her gutsy hold. She cut out the errors from her play, hit deeper and harder and earned two break points. 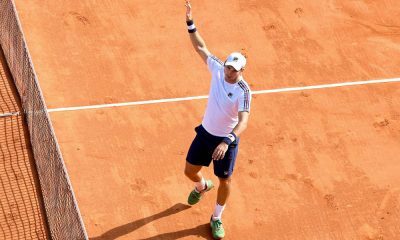 The Australian saved them both, but then made a double-fault to hand the Russian another chance. And she gifted the World No.30 the break with a loose backhand that went wide. It proved crucial, as Sharapova held to love to close out the first set 6-4. The five-time Grand Slam champion put Barty’s serve under pressure again in the first game of the second set, but the Australian held firm to fend her off. The World No.15 started to use her variety more effectively in the next few games, and it eventually unsettled Sharapova so much that she played a succession of poor shots and dropped her serve in game four. Barty backed up the break with a dominant service game to move 4-1 ahead. She then put a bit of pressure on the Russian’s serve and watched the World No.30 fall apart and lose the game to love. 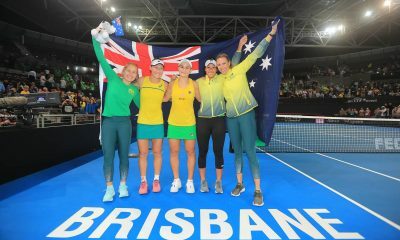 To the delight of the home crowd, the Australian quickly wrapped up the second set 6-1 to level the match at one-set all. Sharapova took a lengthy bathroom break to compose herself, and she was greeted by a chorus of boos when she returned to the court. Either that upset the Russian, or she was still thinking about the second set, because she played an awful first service game and dropped her serve for the second time in succession. And things got worse for the World No.30 from then on, as Sharapova failed to take advantage of a 15-30 scoreline on Barty’s serve and then proceeded to lose her own serve again and fall 3-0 behind. On the other side of the net, the Australian remained calm and continued to play sensible, calculated tennis to consolidate her lead at 4-1. But there was another twist around the corner, as Barty made a couple of errors to hand the Russian two break points. Sharapova took the second to cut the deficit to 4-2. In the next game, the World No.15 tried everything to restore the double break, but the five-time Grand Slam champion dug in and held onto her serve. Remarkably, it looked like the Russian was about to draw level in game eight when she earned two break points. However, she failed to take her chances and Barty held on to lead 5-3. Sharapova then held to make sure the Australian would have to serve for the match. And for a couple of minutes, it looked like she would do it easily when she raced into a 40-15 lead. But the Russian slammed a huge forehand winner and then Barty double-faulted to make it deuce. The World No.15 wasted another match point with an error, but she eventually sealed the win at the fourth time of asking with an ace. 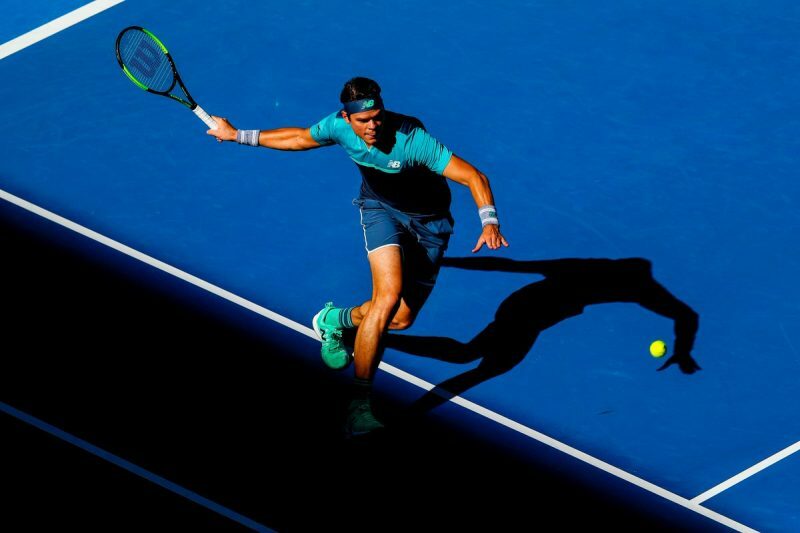 Milos Raonic spoke about his tricky matches so far at the Australian Open and his upcoming clash with Alexander Zverev. Milos Raonic looks in excellent form. 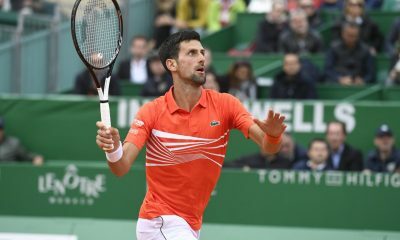 He has beaten three difficult opponents, Nick Kyrgios, Stan Wawrinka and Pierre-Hugues Herbert, and will now face an even tougher fourth, Alexander Zverev, in the last 16. Although the Canadian has only dropped one set so far, he has been challenged all the way, and the main reason his matches have remained relatively short is because he has produced his best tennis at key moments. Next, Raonic faces one of the biggest challenges in tennis when he takes on the World No.4. And he is not convinced by any suggestion that his past successes at Grand Slams give him an advantage. This approach speaks volumes of Raonic’s level-headed nature, as does his assessment of the dangers of relaxing during his encounter with Herbert after facing two stronger opponents before him. 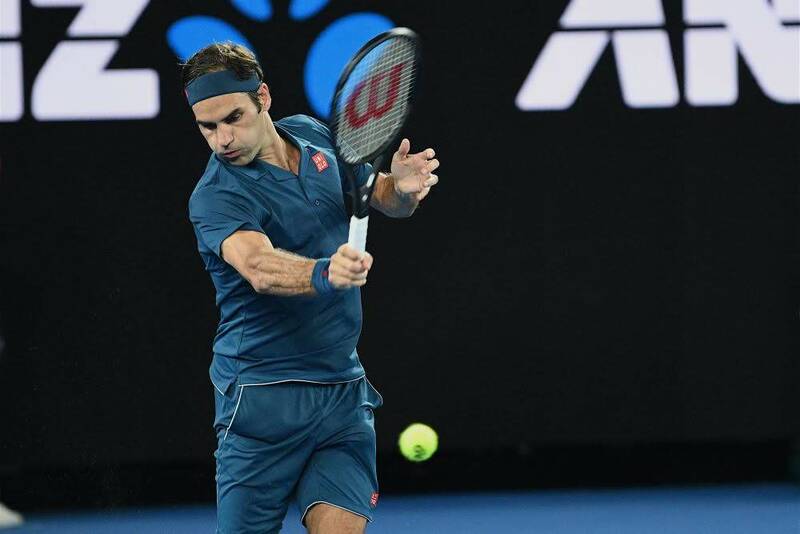 The Australian Open action continues with the likes of Roger Federer, Rafael Nadal and Angelique Kerber looking to continue their search for another grand slam. Wednesday’s schedule features names like Federer, Nadal, Sharapova, Kerber, and Wozniacki. With those big names all heavy favorites in their second round matches, this preview will dig deeper into what look to be Day 3’s more competitive matchups. They include some exciting youngsters, as well as a few veterans exceling late in their careers. To the relief of players and fans alike, Wednesday is forecasted to be much cooler than the first two days of the fortnight in Melbourne. Anderson is one of the hottest players on tour, and continues to build upon the momentum of the last two seasons. 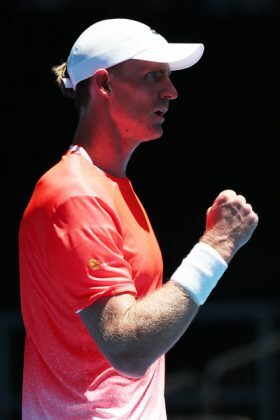 The 32-year-old South African ended 2018 by advancing to the semi-finals in his ATP Finals debut, and started 2019 by winning the title in Pune. With a strong showing in Melbourne, he could make his debut inside the top four. 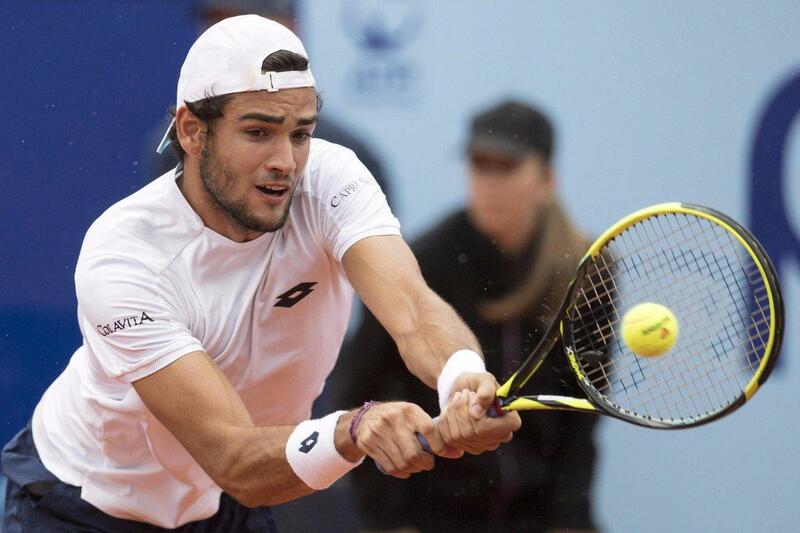 He took out a tricky first round opponent in Adrian Mannarino in four sets on Monday. He has another tricky draw here in the 20-year-old up-and-coming American. Last year saw Tiafoe win his first ATP title at Delray Beach, upset Kyle Edmund and Tomas Berdych in Miami, and advance to the final in Estoril. Frances is an explosive shot maker with great speed around the court. These players met three times last year, all on hard courts. Anderson won each match, though Tiafoe twice pushed him to a final set. Anderson should prevail here as well, but Tiafoe could easily complicate matters if he plays well and keeps his unforced error count relatively low. 2018 was a breakthrough year for Kontaveit, who is now ranked inside the top 20. Her season was highlighted by upsetting Jelena Ostapenko at this tournament a year ago, taking out Caroline Wozniacki on her way to the semifinals in Rome, defeating Petra Kvitova at Roland Garros, and making the final in Wuhan. Kontaveit again upset Kvitova to start off her 2019 season in Brisbane. Sasnovich also impressed last season, and is the highest-ranked player to not be seeded at this tournament. She was a finalist a year ago in Brisbane, and upset Kvitova at Wimbledon. And 2019 has gotten off to a strong start for Sasnovich. She upset Top-Seeded Elina Svitolina in Brisbane, and came through qualifying in Sydney to reach the semifinals. Both Kontaveit and Sasnovich won their first round matches rather easily. Kontaveit holds a slight 4-3 edge in their head-to-head. They played three times last year, with Sasnovich taking both of their 2018 hard court meetings. In what could easily be a prolonged, three-set battle, Sasnovich should be slightly favored based on her recent hard court success over Kontaveit. 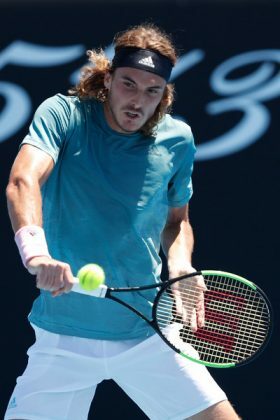 Tsitsipas was a revelation on the ATP tour in 2018. 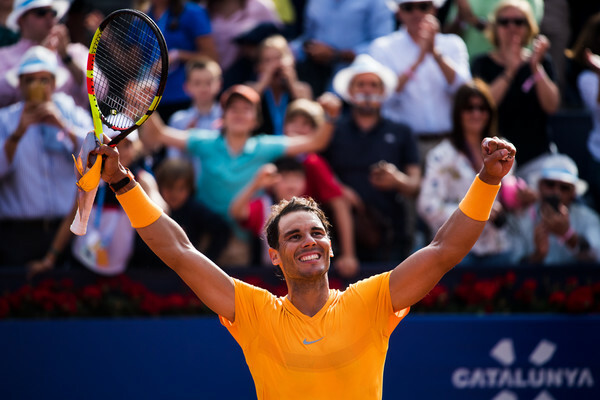 He advanced to the finals in Barcelona and Toronto, losing to Rafael Nadal on both occasions. 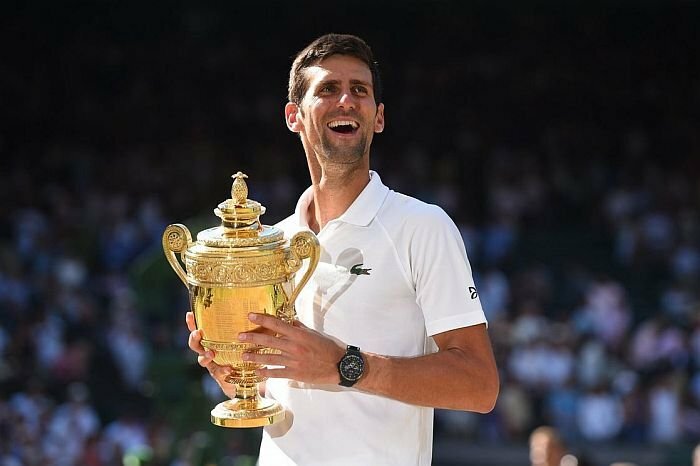 The 20-year-old went on to win his first ATP title in Stockholm, and then also took the trophy at the second annual ATP Next Gen Finals. Troicki was ranked as high as 12th in the world back in 2011, but is now all way down at No.200, as he’s battled injuries over the last several years. 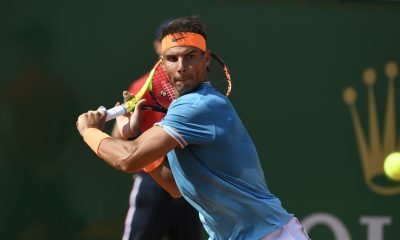 The 32-year-old veteran is still a dangerous opponent, as evidenced by getting his seventh-straight five set match win in Monday’s first round. Viktor can be a dogged, yet emotional competitor. If he has anything left after come through qualifying and winning a five-setter, he could make things interesting for the young 14th seed. Tsitsipas though has enough game to where he should pull through in his first career meeting against Troicki. 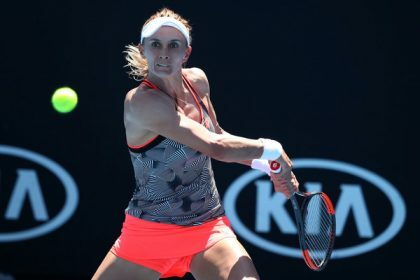 Tsurenko has been experiencing a late-career surge. The 29-year-old advanced to her first Major quarterfinal at last year’s US Open, defeating Caroline Wozniacki in the process. And just two weeks ago in Brisbane, she upset Naomi Osaka on her way to the final, where she was up a set and a break before succumbing to Karolina Pliskova. On the other side of the spectrum, Anisimova is a 17-year-old who has already made a strong impression on the tour. The American upset Petra Kvitova at Indian Wells last March, and advanced through qualifying all the way to the final in Hiroshima in September. She has a big game, and some have already tipped her as a future Major champion. Jon Wertheim recently even suggested she could be the next teenager to win a Major. Is Anisimova ready to upset a seed at a Major? She has the fire power to do so, but I still favor the more experienced and in-form Tsurenko in what should be a fascinating contest. Roberto is coming off the match that captured everyone’s attention on Monday, his thrilling five-set victory over the soon-to-be-retired Andy Murray. He’ll need whatever energy he has left on Wednesday, as the crowd will again be against him as he plays the veteran Australian. 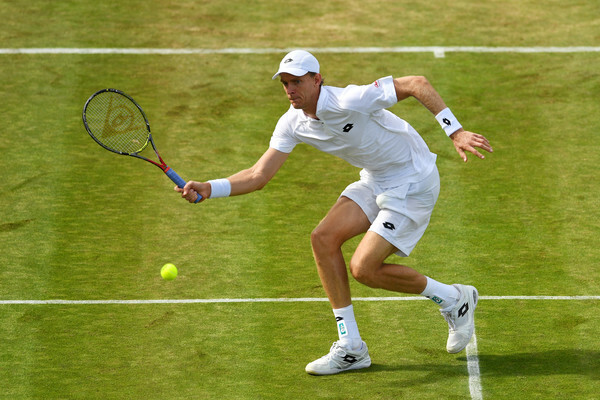 Millman does not possess any big weapons, but is a tenacious competitor who will not go away easily. And he’s coming off the match of his career at the last Major, when he upset Roger Federer at the US Open. On a terribly hot and humid day in New York, Millman outlasted Federer in the near-unbearable conditions. Bautista Agut is 3-0 lifetime against Millman. They both possess similar games, with Roberto being just a bit stronger in almost every category. 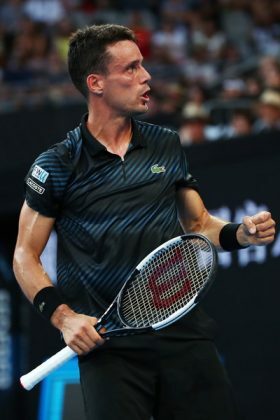 But if Bautista Agut is feeling less than 100% on Wednesday, Millman is the kind of opponent that can grind the last bits of energy out of him. With the crowd in Melbourne solidly behind him, a Millman upset could just happen. Rafael Nadal (2) vs. 31-Year-Old Australian Matthew Ebden. Roger Federer (3) vs. British Qualifer Dan Evans. Angelique Kerber (2) vs. 22-Year-Old Beatriz Haddad Maia. Caroline Wozniacki (3) vs. Johanna Larsson of Sweden. Maria Sharapova (30) vs. 23-Year-Old Rebecca Peterson.